On one of the last long weekends, we wanted to get away, but weren’t able to leave on Friday evening. Instead, we loaded the vehicle and headed off down to Collie on the Saturday morning. You might think we were mad (and we kind of did too! ), knowing how quickly camp sites fill up on long weekends. We had no where specifically in mind to camp, but planned on being a little adventurous. I had a rough idea of some more remote places that might be an option, but we weren’t expecting what we found! 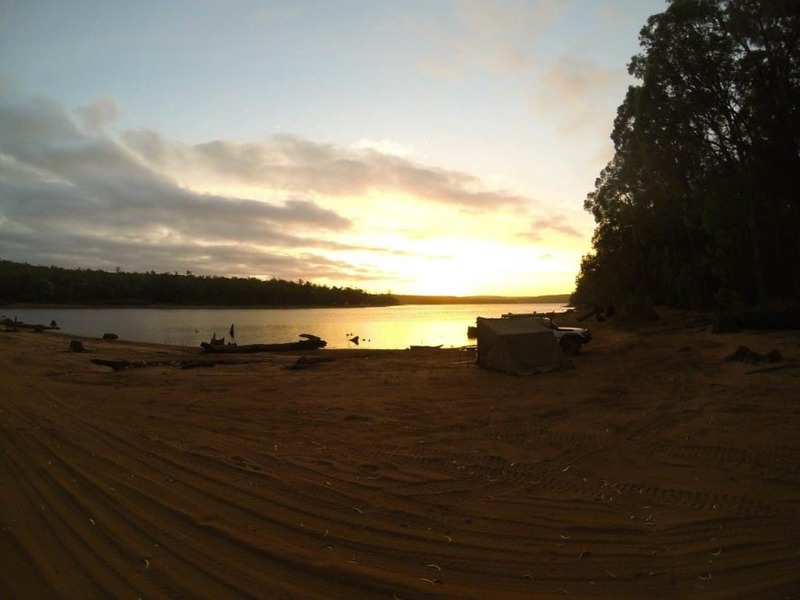 I spent a while online trying to find places around Collie to camp before going, and the only campsite that I kept finding was Potters Gorge, a DPAW site not too far from the banks of Wellington dam. Out of curiosity, we pulled into Potters Gorge on the way down, and as expected, it was absolutely packed. I don’t mean just a few people; its was jammed in like sardines. We had a hard time even driving the cruiser around the loop! We headed off, knowing that even if there was room camping so close to that many people was not something we were interested in. I don’t know about you, but I go 4WDing and camping to get away from the crowds of people! 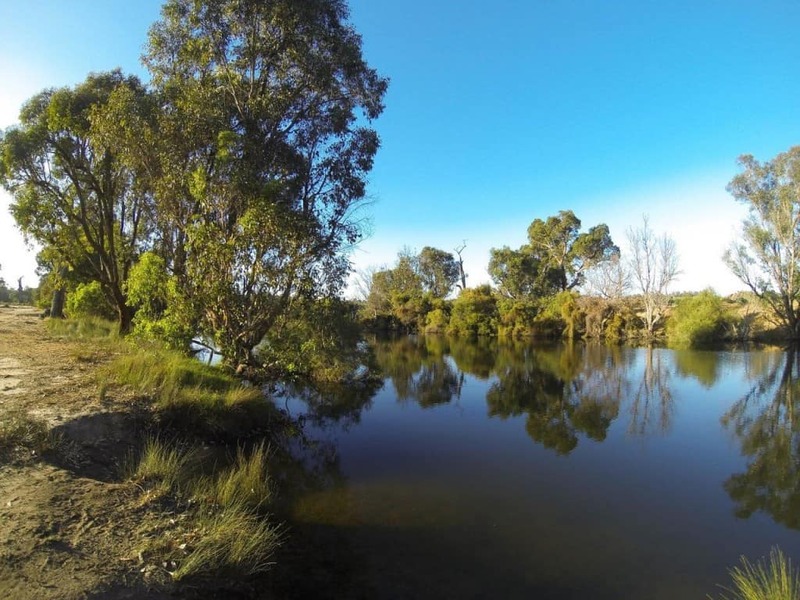 The Collie River runs for quite the distance, and is lined with places you can camp on both sides of it. I’m not going to give away any specific places to camp, but just know that if you follow the river (even near private property!) you will find places to camp. We ended up with a magic campsite, with our tent literally 3 meters away from the river, with no one in sight (and only occasionally heard from a few hundred meters away!) You can’t complain about that, on a long weekend! After much deliberation that evening, I convinced Sarah to pack up and head to Wellington Dam. 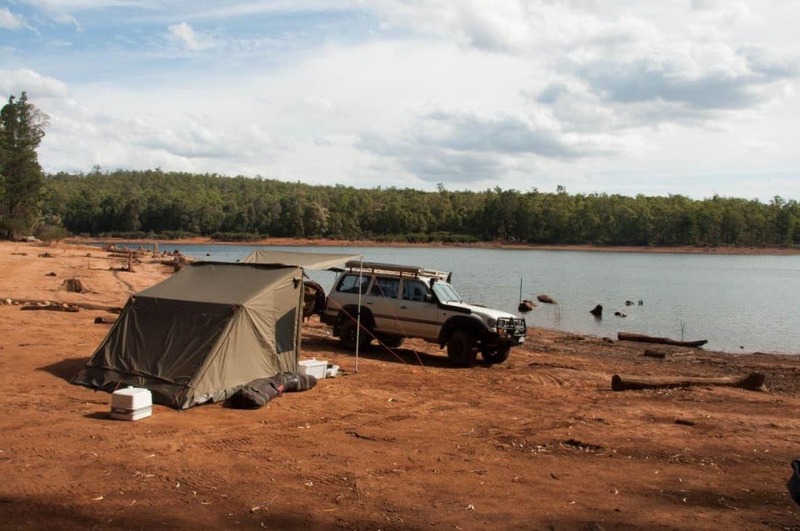 Despite the amazing camp site, I was keen to explore something new, and didn’t want to hang around camp all day long when there were 4WD tracks to explore! I assumed you would be able to camp around the outside of it (out of Potters Gorge) and we quickly found I was correct (luckily, or there would have been strife!). Again, there are stacks of places you can camp on the banks of Wellington Dam. We started on the eastern side, and worked our way south, following the dam bank as close as possible. This was considerably more busy, but there were still plenty of places you could camp. After getting into a sticky situation (and having no other vehicles there to help us out!) we moved on, and promptly found a cracker campsite, meters away from the dam, again with no one around. We could see others across the dam, but only just! It’s pretty rare for us to head off with no plans of where to stay, but I think it’s something we need to do more. WA is a massive places, and as long as you are respectful, you will always find somewhere to camp. Stockton lake is an old open cut mine that has a camp site attached, run by the DPAW. Like the other many dams in the region, it’s a lovely place! This should need no introduction. 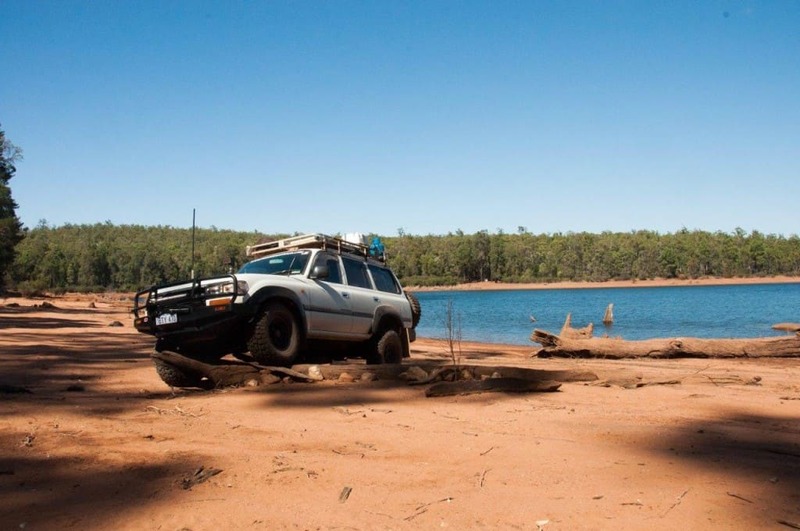 It’s full of plenty of difficult 4WD tracks, with a lot of different places you can camp. Stay out of private property, respect the area and have a blast. Honeymoon Pool is another DPAW camp site which is located right along the river. It has toilets and is a truly magic place to spend a few days. It’s also located right next to the Lennard 4WD track! 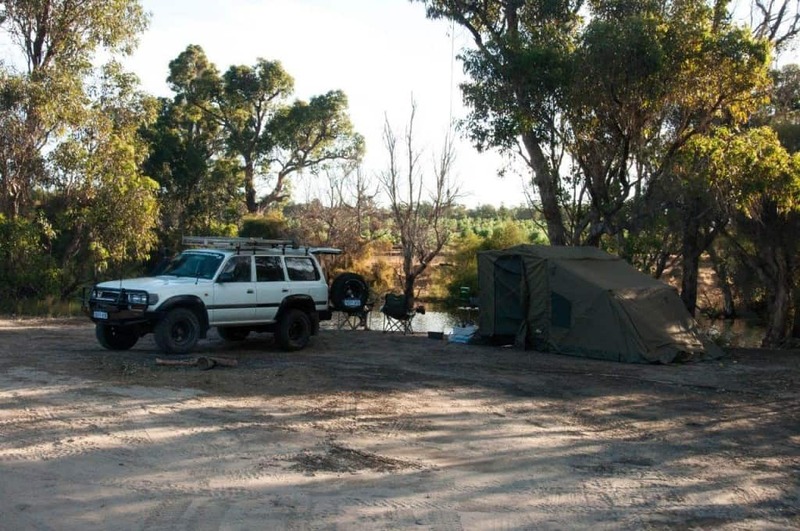 Gelcoat is a camp ground within Honeymoon Pool which can fit up to 3 tents. 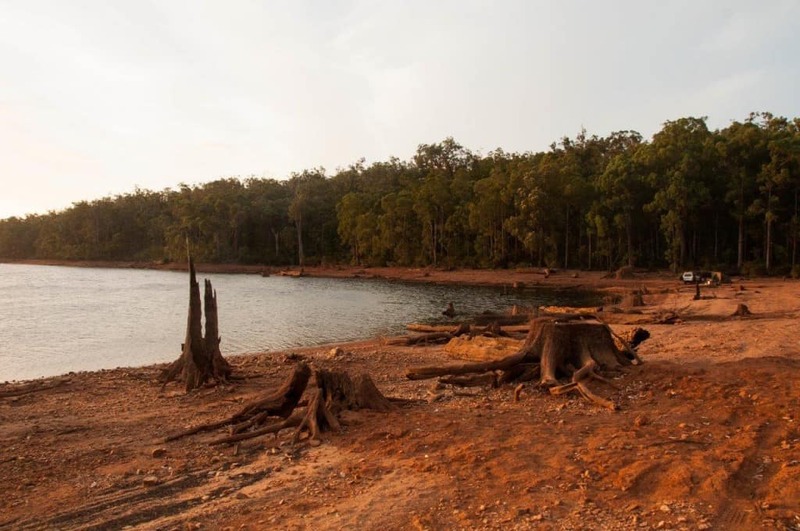 You can camp on the western shore of Glen Mervyn Dam, where a toilet is provided. If all of the above fail, follow the rivers and water ways; you are guaranteed to find something!